GBC Motorsports helped revolutionize the high-performance side-by-side tire market back in 2012 with the release of the Kanati Mongrel. GBC Motorsports helped revolutionize the high-performance side-by-side tire market back in 2012 with the release of the Kanati Mongrel. The Mongrel featured the type of tread design that drivers were looking for from truck tires, but in a lighter weight design to meet the performance demands of side-by-sides. 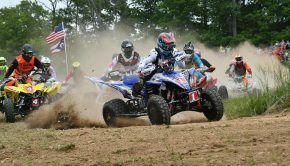 The tire was a hit, enjoying immediate success in the racing and has become a go-to tire for many who drive in typically dry conditions found out West. A while back, GBC started producing 23” and 25” versions of the Mongrel, making them suitable for use on ATVs. 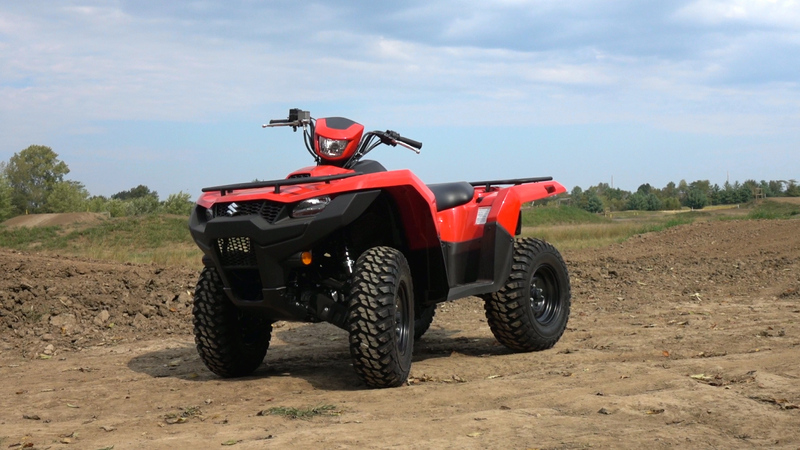 Having experienced their superior performance in dry conditions in many side-by-sides, we ordered a set of their 25×8-12 fronts and 25×10-12 rears to put to the test on a 2019 Suzuki KingQuad 750. 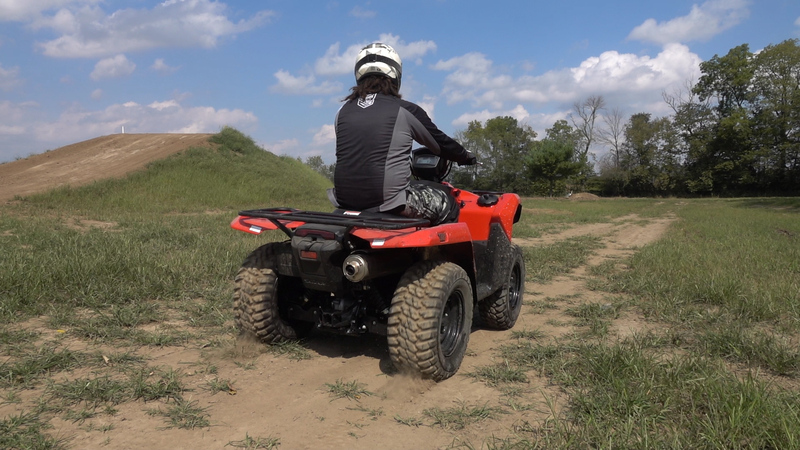 The KingQuad’s light enough to provide a good feel for the tires’ weight and ride quality, yet powerful enough to put traction capabilities to the test. 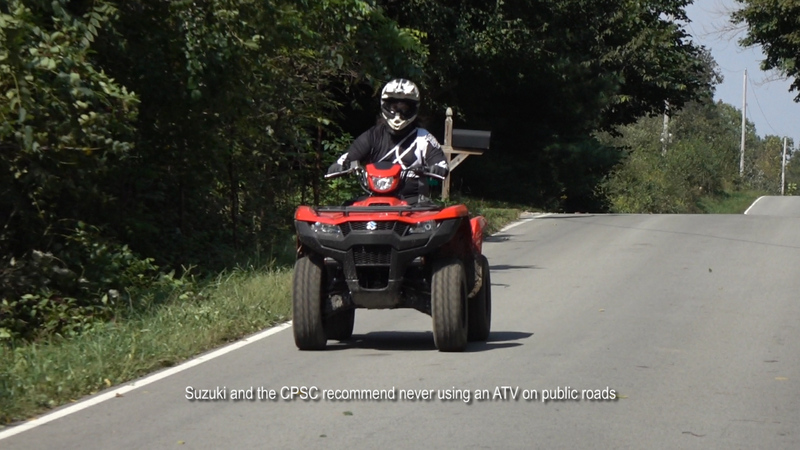 A while back, GBC started producing 23” and 25” versions of the Mongrel, making them suitable for use on ATVs. The Mongrel features more closely spaced knobs putting more rubber on the ground. 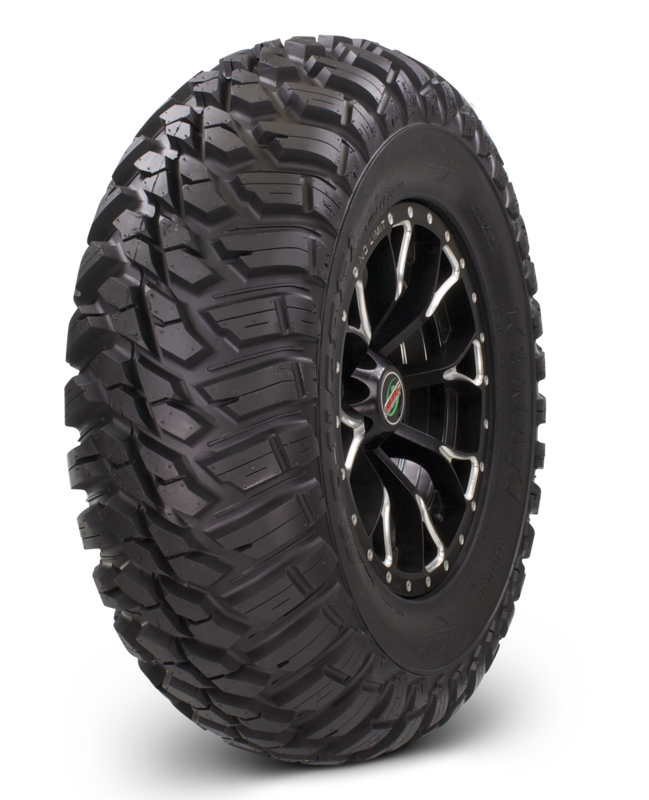 The side knobs wrap around the tire helping create a somewhat rounded profile and aid traction in loose or rutted conditions. Mongrels 25” in diameter and larger feature 10-ply, radial construction with sidewalls that have been re-engineered to be more puncture resistant. While radial tires tend to be a bit heavier, they are known for providing a smoother ride. The Mongrels are DOT approved for street legal use featuring a tread pattern that’s very similar to the Kanati Mud Hog truck tires. 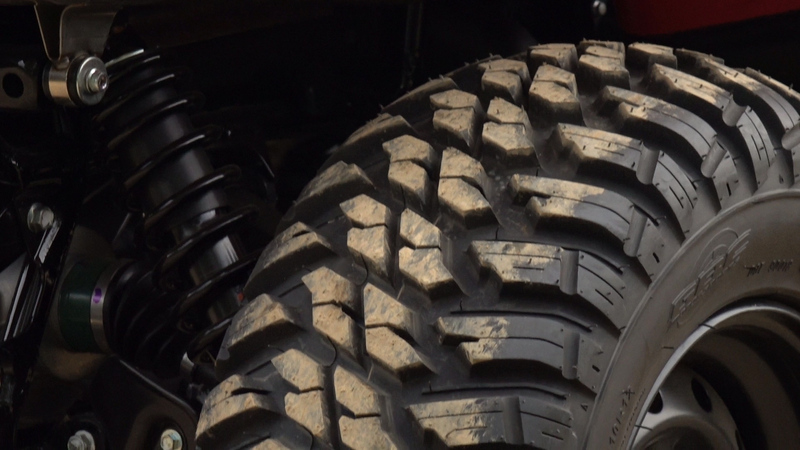 Compared to an all condition ATV tire like GBC’s Dirt Commander, the Mongrel features more closely spaced knobs putting more rubber on the ground. 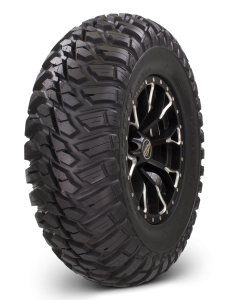 The side knobs wrap around the tire helping create a somewhat rounded profile and aid traction in loose or rutted conditions. The angled tread helps promote clean out and is nondirectional, so they can be rotated to prolong tread life. According to GBC, the Mongrels weigh 24lbs front and 27lbs rear, compared to the equally sized, bias-ply Dirt Commanders at 20.5lbs front, 25.9 lbs rear, and GBC’s long standing Dirt Devils at 18.1lbs front and 21.6lbs rear. The Mongrels are heavier due to their radial construction and more closed up treat pattern. To test the Mongrels, we went to East Fork MX in New Vienna, Ohio to hit up their cross-country racetrack. For those who use an ATV for work, typically on asphalt or concrete, but also occasionally need their tires to perform in gravel, dirt or light mud, we put them to work at a local marina, and hit up a country road in an area where ATVs can be operated legally as farm equipment. Weight, size, and even tread affect acceleration. 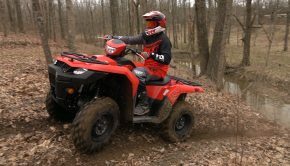 Running the same size tires as stock, the KingQuad 750 didn’t seem to struggle with the added rotating mass of the smooth rolling Mongrels. A smaller displacement machine, like the KingQuad 500 we had on hand, shouldn’t have a problem turning these tires if you plan on sticking with a size similar to stock. 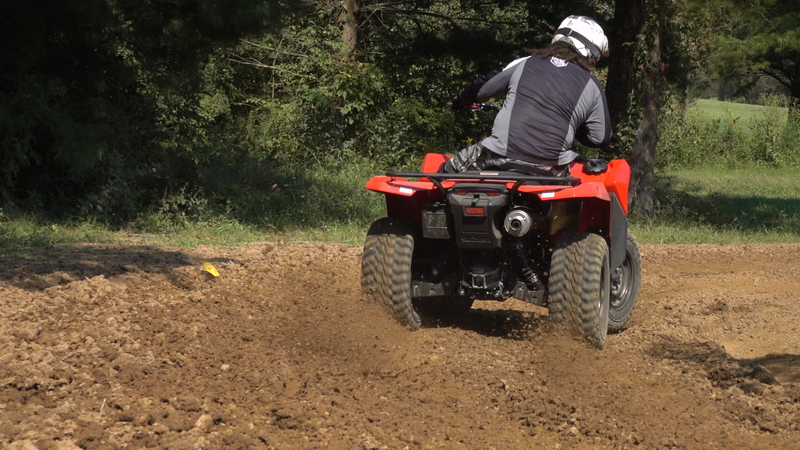 The KingQuad 750 didn’t seem to struggle with the added rotating mass of the smooth rolling Mongrels. A smaller displacement machine, like the KingQuad 500 we had on hand, shouldn’t have a problem turning these tires if you plan on sticking with a size similar to stock. Traction is good and predictable on all types of dry surfaces and even some wet ones. On hard, dry dirt, concrete, or asphalt, the Mongrels hook up beautifully under acceleration, braking, and cornering. We ran between 6.5 and 7 pounds of air pressure throughout our testing and found the beefy radials to do an excellent job of resisting rolling in turns, providing a predictable, stable feeling in corners at speed. 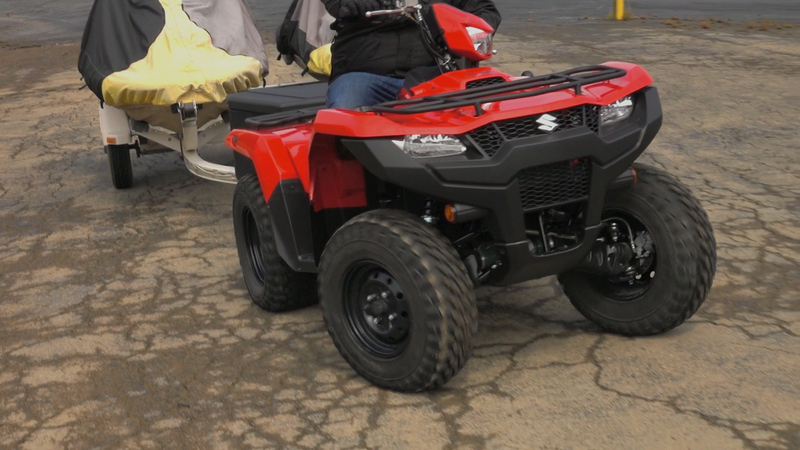 We loaded down our KingQuad with a couple of personal watercraft without balancing the ride by stiffening up the rear shocks. Much to our surprise, the front end still steered predictably on blacktop, even in two-wheel drive. We noticed a small amount of front-end push on gravel, until we engaged limited-slip four-wheel-drive, after which, the Mongrels pulled the quad through corners with precision. We loaded down our KingQuad with a couple of personal watercraft without balancing the ride by stiffening up the rear shocks. Much to our surprise, the front end still steered predictably on blacktop, even in two-wheel drive. On tilled up, loamy sections of the cross-country course, the Mongrels allow you to get loose a bit while remaining predictable. You can get them to break loose for slides. It is also possible to easily lock up the tires should you choose. We did notice a slight tendency for the front end to push in loamy conditions, which disappears with limited slip four-wheel-drive. The Mongrels also perform well in sandy conditions, both dry and wet, with less tendency to bury themselves than many multi-purpose tread patterns on the market. On tilled up, loamy sections of the cross-country course, the Mongrels allow you to get loose a bit while remaining predictable. 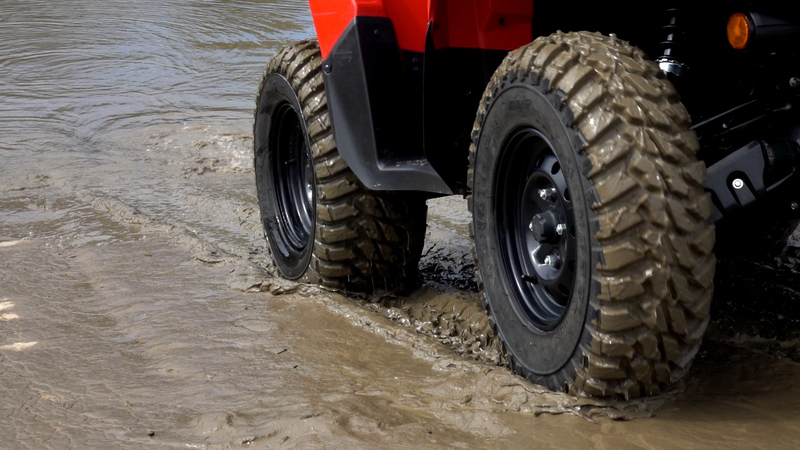 While definitely not a mud tire, the Mongrels deliver enough tread and cleanout to tackle modest mud holes. We were surprised how well they easily drove up a steep, slick, mud-covered, concrete boat ramp that was far too slick to walk on, even in two-wheel-drive. The Mongrels deliver a smooth, relatively vibration-free ride on hard surfaces at various speeds. Not only do they resist rolling in corners, their radial design allows them to better absorb bumps with far less bounce or deflecting, compared to the stock tires, which we felt nearly negated their increase in unsprung weight almost everywhere. During our couple days of testing, wear was very minimal and we have no issues to report. With their 10-ply radial construction and wrap around knobs on the shoulders, cuts and pinch flats should not be a common problem. Their more closed up tread pattern should make the Mongrels less likely to suffer punctures. The Kanati Mongrel is not what we’d consider to be a multi-season, wet, or dry tire like GBC’s Dirt Commander. 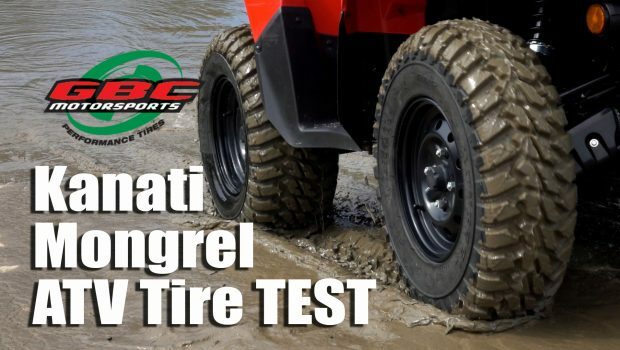 However, if your ATV could benefit from a set of trail tires that will excel on dry surfaces including rocks, gravel, dry dirt, sand, or loam with only light mud use, the Mongrel is a tire worth looking into. Farmers, construction companies, and business owners who need a long-lasting tire with DOT approval, or a tire that will roll smoothly and perform well on paved surfaces while delivering enough traction to go off-road, the GBC’s Kanati Mongrel ATV tire may be just the tire you’re looking for. 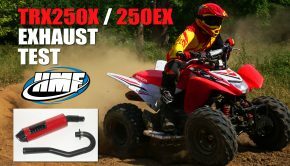 For more information on the GBC Kanati Mongrel, or GBC’s full line of ATV, side-by-side, truck, and trailer tires, log onto gbcmotorsports.com. Summary: The Kanati Mongrel is not what we’d consider to be a multi-season, wet, or dry tire like GBC’s Dirt Commander. 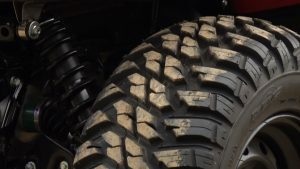 However, if your ATV could benefit from a set of trail tires that will excel on dry surfaces including rocks, gravel, dry dirt, sand, or loam with only light mud use, the Mongrel is a tire worth looking into.Farmers, construction companies, and business owners who need a long-lasting tire with DOT approval, or a tire that will roll smoothly and perform well on paved surfaces while delivering enough traction to go off-road, the GBC’s Kanati Mongrel ATV tire may be just the tire you’re looking for.